Zoltan Szigeti is president of The Group, which he founded together with Mihaela Nicola in 2005, and which is the first Romanian communication group of companies. Szigeti began his career at Michael Kammrath Advertising and Graffiti/BBDO. Then he founded Viewpoint Advertising Agency in 1993, which was bought a year later by Ogilvy & Mather Advertising, who he subsequently worked with for ten years covering advertising, public relations, promotions, BTL, and media operations as country manager for Ogilvy Public Relations Worldwide (2000), MindShare Media (1997) and Media Insight (2002). 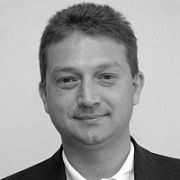 Szigeti has a degree in electrical engineering from the Politechnical Institute Bucharest and received a degree in political communications from the Communication and Public Relation University Bucharest in 2002.